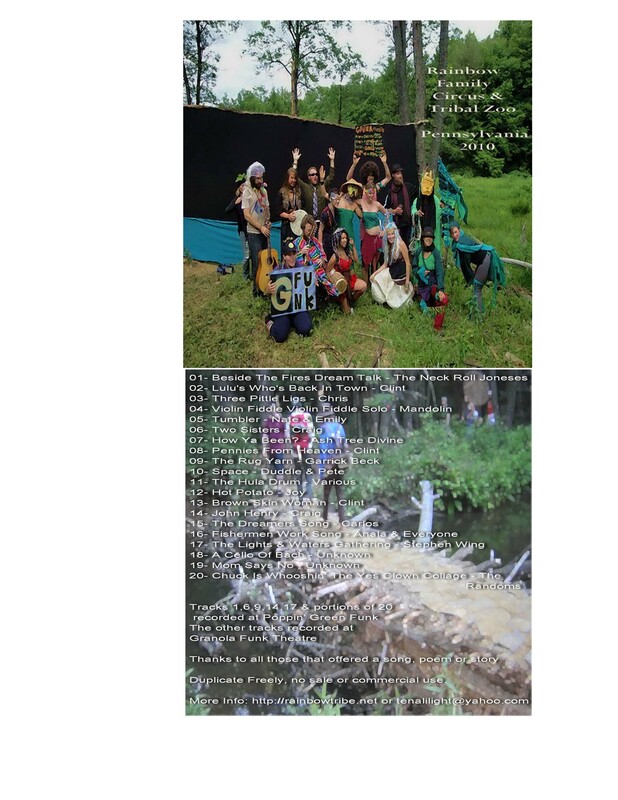 This years collection of field recordings includes 20 songs, poems and stories recorded at the 2010 Pennsylvania rainbow gathering in the Allegheny National Forest near the town of Sheffield. Pass Freely. No Sale or Commercial Use. We Love You Frank Cook!!! What happened to the sing songs of the singing song? Oh where oh where did the washing tide take them? It’d be great if there was a single zipped file too. Thank you for posting, I’m sure these will charge my heart! Most years have a ZIP option except Montana 2000 & Idaho 2001. Thanks y’all for visiting this site, if one takes the time, there’s a menagerie of sound worth exploring!